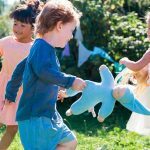 Recent research published by the American Academy of Pediatrics shows play time is important for healthy brain development and that child development in general is significantly enhanced through play. This entry was posted in Lifestyle, Questions and tagged play, child development on September 17, 2018 by Randall Hertzler. 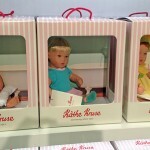 Of course dolls, are the first attraction in the Käthe Kruse booth in Nuremberg. Perhaps the biggest news here is not the dolls themselves, but the transition to more functional packaging. The clear cellophane windows are removed, the inside of the carton is designed to look like a play room, and the carton becomes a part of the play value of the doll in addition to display and storage. This entry was posted in News, Products and tagged new, Nuremberg, play on February 2, 2015 by Randall Hertzler. 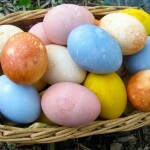 Instead of the kits with chemical colors from the craft store or supermarket, color your Easter eggs with natural dyes. This entry was posted in Lifestyle and tagged tradition, Easter, natural, play on April 17, 2014 by Kathryn Hertzler. 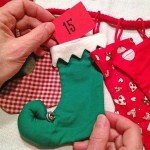 More ideas for being creative about how you fill your Kathe Kruse cloth Advent Calendar. This entry was posted in Lifestyle and tagged advent, Christmas, tradition, play on November 17, 2013 by Kathryn Hertzler. It's time to start getting creative about how you fill your Kathe Kruse cloth Advent Calendar. 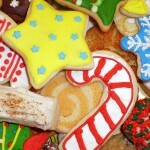 Here are ideas for filling your advent calendar with activities. This entry was posted in Lifestyle and tagged advent, Christmas, tradition, play on November 10, 2013 by Kathryn Hertzler.